By 1968, Mick Jagger was a global superstar, which naturally led him to acting. For his cinematic debut, only the oddball British psychedelic crime noir of Performance could have worked. And what better leading lady than Keith Richards's girlfriend, mythical late 60's London scenester beauty, Anita Pallenberg? Only in the hyper sexual bizzaro world of the Rolling Stones could one man be working on a near X rated film, in the open, with his best friend's girl. At some point during the Performance shoot, word got out that Jagger and Pallenberg were a bit too far ... in-character while shooting the love scenes. Richards did not take it well, and took to sitting in car in front of the studio while the two overheated actors "played their parts." Must have been awkward at band rehearsal the next day. Thankfully, Jagger's affair with Pallenberg (do you even call it that when it's in the open?) wasn't the only thing going on Planet Stones at the time. Guitar legend Ry Cooder had shown on the scene, teaching Richards the open G and E Country Blues tuning that would burn in Let it Bleed era classics like "Honky Tonk Women," its deep fried cousin, "Country Honk," and Delta parable "Prodigal Son." Armed with Richard's searing arsenal of down home American licks, the Stones set about finishing the Country-Work fusion work that Buddy Holly and Carl Perkins had started a decade earlier. What we now call "alt country" can be traced back to the day Ry Cooder met Keith Richards. As being Rolling Stones is the only job either of them ever had, "Memo From Turner" must be the only memo that Mick Jagger or Keith Richards ever wrote. In the Stones saga, non-Stones tend to be transient presences. Thankfully, Ry Cooder stuck around long enough to pitch in on the "Turner" studio effort. While appearing on the Performance soundtrack as a Jagger song, the Jagger/Richards writing credit and the song's appearance on the 1989 London Years box set (where I found it) qualify it as Stones enough for this list (despite the fact that no Stones besides Jagger are heard on the recording). Cooder's sunny day driving slide line is the central theme here. 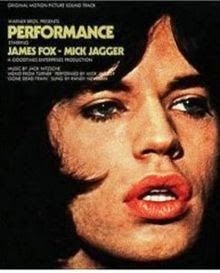 Jagger gives dismissive vocal treatment to what sounds like an awkward conversation between Turner (a criminal in the Performance story played by Jagger in the film) and a stranger who recognizes him, to Turner's apparent chagrin. Despite, or perhaps because of, its sordid backstory, "Turner" is a charming piece of Stones obscurity.